I spent 9 years of my life attending a Quaker school, the Baltimore Friends School. 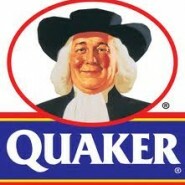 And that surprises the majority of people, I guess because when most people hear the word “Quaker” they think of that jovial Amish-looking man on the Quaker Oats box. But the truth is that by the time I became a student at Friends School in 1980, the stereotypical Quaker looked less like that black-hatted oatmeal fellow, and more like a tie-died Woodstock alum. In fact, by the time I attended Friends there was almost nothing that was traditionally Quaker about the school at all. Except for one thing. Once a week we students were required to walk up the hill to attend “Meeting for Worship” at the school’s 200-year-old stone Meeting House. A Meeting House is a large, bare room with rows of benches facing the center of the room, where a small table sits with a Bible upon it. Unlike other forms of Christianity, there is no minister. And no crosses. And no service. And no sermon. At Meeting for Worship we would simply spend 45 minutes sitting silently, while we were supposed to be attempting to get in touch with our “inner light.” Our Divine soul. And when someone was “Inspired by the inner light” he or she would stand up and speak. And more often than not, one of those speakers was me. I would share a meaningful story from my life. Or an insight about existence. Or some piece of wisdom I had learned. And I gave in, because I wanted to entertain my classmates. And also because speaking broke up the 45-minute boredom for me too. So I would stand up to speak, not because I was “inspired by the inner light,” but rather just in order to pass the time for me and my classmates. And that embarrasses me to this day. It embarrasses me that I opened my mouth when I didn’t have anything to say that was really coming from my heart. Nowadays, I tend to only think about the near quarter of my life I spent at Friends School when I’m getting nachas about the black and white contrast between my own American Quaker-ish school experience and the experience of my Israeli kids at their Orthodox school…. But that isn’t really fair. My 9 years at Friends School shaped me as a human being in many ways, and one of the most formative experiences of all was standing up week by week and sharing my own “inner light’ with my friends and classmates and teachers. And just yesterday it occurred to me out of the blue that there is a strong connection between those Meeting for Worship monologues of long ago and JewishMOM.com of today. My mission for this website is that it will be a place where I can share my Inner Light with you JewishMOMs. And most of the time this website is just that, it’s a place where I share only those thoughts and experiences and insights that touch my heart most deeply. But not always. Sometimes I just post stuff since I want to post something, and I can’t come up with anything better. But I don’t want to do that anymore, JewishMOM. What I really want, what I’m really strive for, is to only open my mouth when I have something important to say. When I feel my inner light stirring within me, and I just have to open up my browser and start typing. And send some words straight from my JewishMOM heart to yours. I do that too on my blog. I could never put my finger on it, but there are times when I’m just “itching to write”. I guess writers know what I’m talking about. It’s when you read something or experienced something and all these feelings are almost jumping right out of you. I say to my husband, “I need to write a blog right now, before this feeling goes away.” He asks me, “What are you going to write about?” And the funny thing is, I have no clue! I just know I need to put my fingers over that keyboard and the words will just flow. I have written many blogs that people comment and say, “That was so thought-out and well-written.” And I know that those are the blogs that I had sat down and had no idea what I wanted to say. I love the feeling of a blog just flowing out of my fingers, almost as if someone else is writing it! I guess that is what you mean when you say, “feeling the inner light move you”! I admire your honesty and perceptiveness. Your intentions have always been pure…whether trying to entertain your friends in the “meeting house” to pass the time, or posting a quick post for the moms who try to read your blog regularly, like me. When I was about ten, I had poor penmanship. In order improve, my mother suggested keeping a daily journal. She said it didn’t need to be a full page, sometimes it could even be a drawing of what happened in my day with a few words. I did it for 4 years in a row and then on and off. My handwriting really did improve. If I thought I had to write a full page every day, I think I would’ve given up after a week. You do a great job of inspiring mothers! Thanks for all you do, great and small with your blog. May Hashem continue to guide and bless you with many more years of success in all you do. I think you are doing a great job and keep up the good work! You always have something interesting to share, and even if it’s not inspiring, your posts are fun to read and provide a welcome distraction to us busy moms. If readers smile or laugh when reading your posts, that is something important too! Not everything has to be so serious and meaningful. Taking time to actually enjoy the lighter things in life makes us well rounded, happier individuals – not to mention better wives and JewishMOMs!!! So keep it up and please don’t change what you’ve been doing. After all, it’s our choice if we want to read the post or not. I have been a fan of yours for years and I have learned so much from you. May Hashem bless you to continue your holy work with health and all good things! keep doing it!! ican’t wait to your next post, and check your site every day!! great miss jenny, you are a model to us!! I used to blog years ago. I found that over time, I veered from my original intent which was simply to record and share important or humorous things about being a mom and wife. Once I gained a few dozen readers, I suddenly pressured myself into an obligations to write for motives that didn’t match my original intent. Is it people pleasing? Pride? I’m not sure, but it took the joy right out of it. Volume isn’t where it’s at. Words from the heart are…frequent, infrequent, funny, sad, inspiring, powerful, life changing! And here you were, my model for devoted and systematic blogging. I’m sure you will be equally successful in your new approach. I would like to add some things, both positive and negative, about the Quakers. I learned a great deal about them when I was doing research for my book Five Thousand Years of Slavery a few years ago. Aside from two very early Jewish sects (the Essenes and the Therapeutae)the Quakers were the first religious group to condemn slavery — in the seventeenth century, in both Britain and the United States. Their founder, George Fox, wrote to his fellow Quakers shortly after he began the religion reminding them that all people were equal, for all own an element of God’s spirit. And it was the Quakers who were the first organized group, in Britain, to work for the end of slavery in Britain’s West Indian colonies. Unfortunately, they were considered oddballs, with their plain dress at a time of laces and periwigs. (And they refused to remove their hats for royalty!) But when Thomas Clarkson, the non-Quaker who did actually organize the truly successful campaign against the slave trade, got the movement going, it was the Quaker network he allied with, and they published his first anti-slavery pamphlet. British slavery would not have ended without the Quaker (and Christian Evangelical) infrastructure. It is sad today to note that some of the religious opposition to Israel now comes from Quaker activists, who no longer see as clearly as they did in the seventeenth and eighteenth centuries. Chana Jenny, you have never wasted our time.